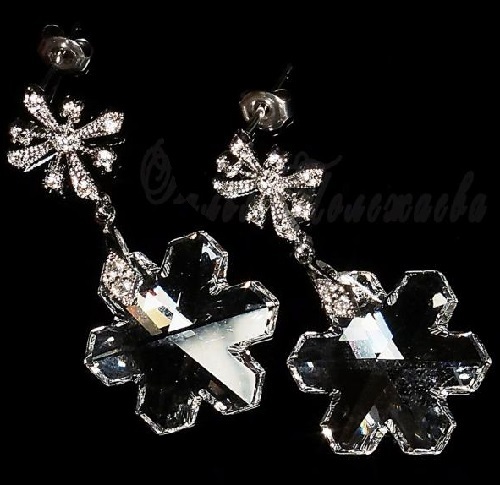 Earrings Falling snowflakes (Winter Collection). 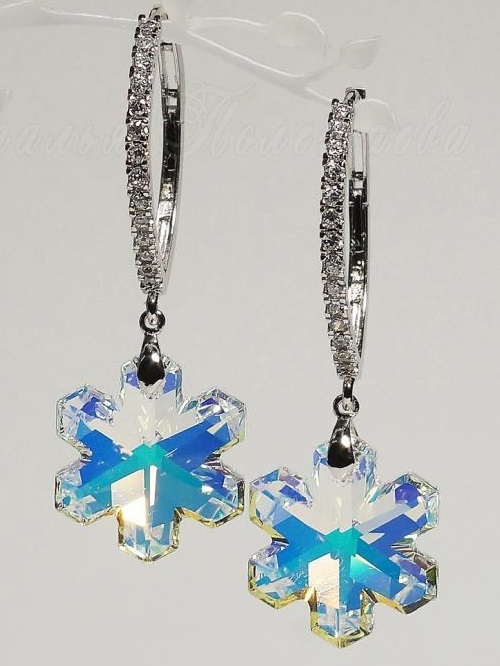 Fabulously beautiful earrings in the form of shimmering ice snowflakes – sparkling crystal facets of Swarovski crystals, rhodium-plated and inlaid zircon. 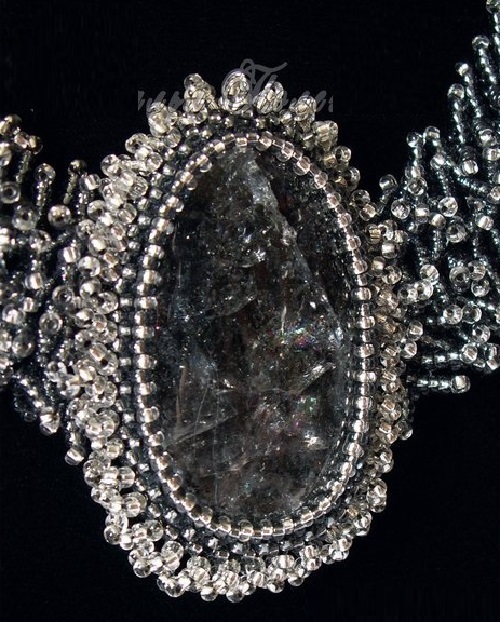 Russian self-taught jeweler Natalia Polezhaeva has been creating exclusive jewelry for many years. She works in the art of beading, embroidery on leather, as well as wire and plastic. 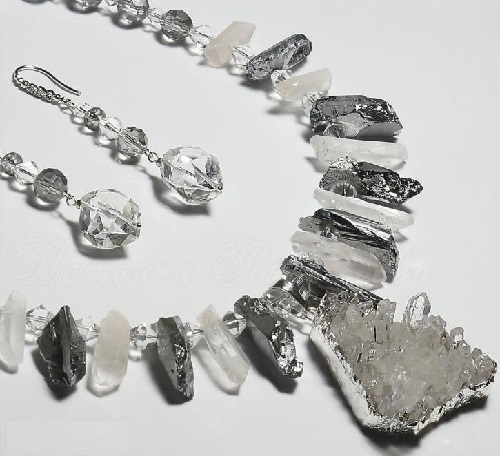 She likes to use natural stones in her work and likes to combine various techniques and materials with new variations and designs. 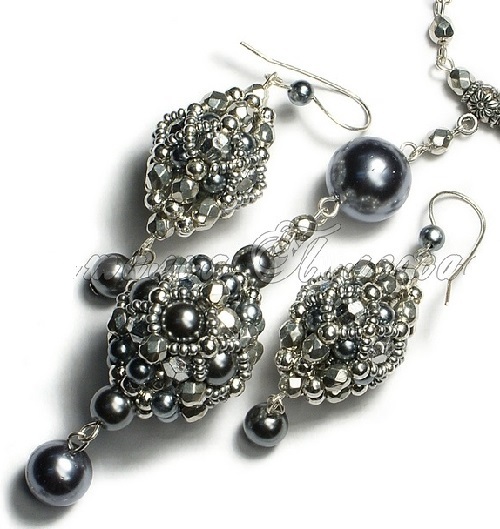 Creating jewelry is her hobby, love, work, part of her life. Natalia likes to be creative, to constantly learn and try new techniques and methods, to implement new ideas and projects, like build and do it with pleasure and with all her soul. 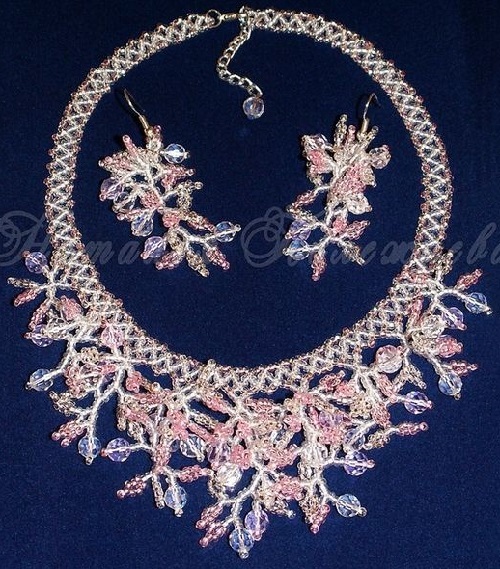 Necklace and earrings Set ‘Ice Queen’. (Winter Collection). 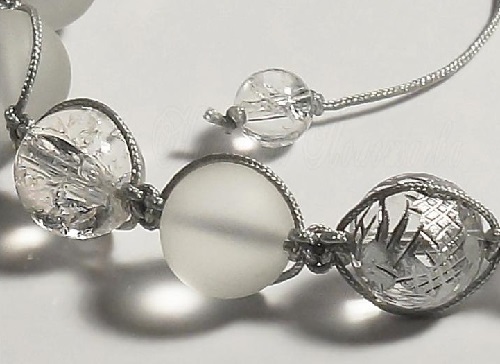 Materials: suspension – Druze rock crystal jewelry alloy, rhinestone, crystal, quartz, titanium processing, glass faceted beads (made in the Czech Republic), string jewelry, accessories rhodium-plated and zirconium fittings. 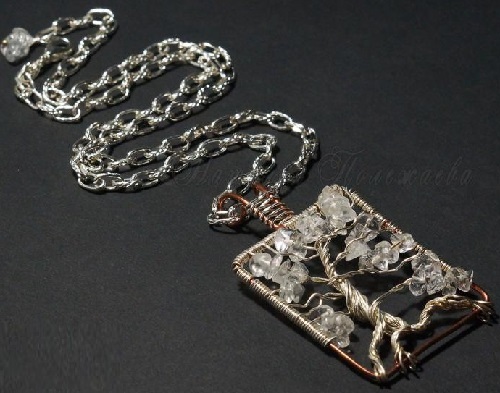 Pendant ‘Heart of the Snow Queen’. The heart of the Snow Queen – cold, with sharp edges, sparkling with ice crystals, not knowing the warmth and love (Winter Collection). 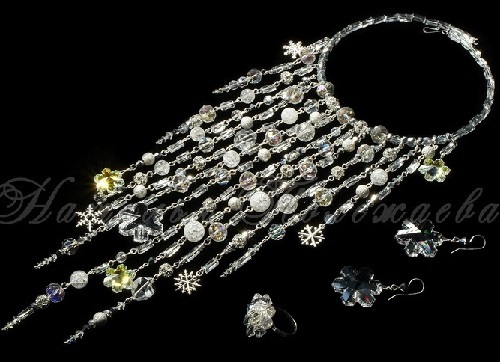 Materials: rhinestone, friends, rock crystal, accessories. 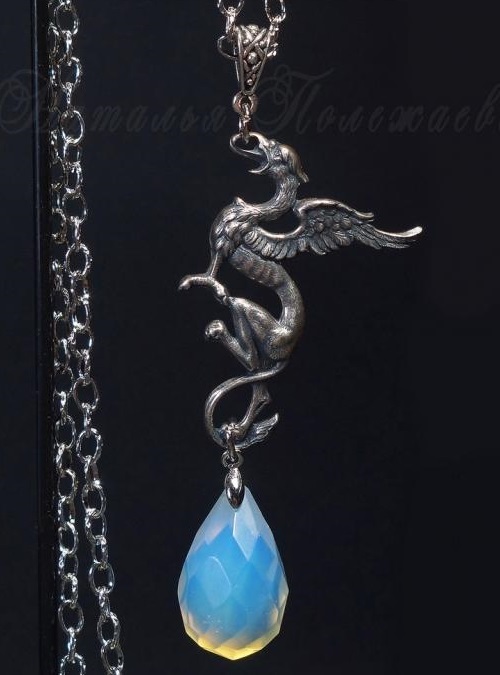 Pendant Moon Gryphon. Silver Gryphon in the moonlight (Collection MAGIC). Materials: Moonstone (Opal), brass with silver, furniture. 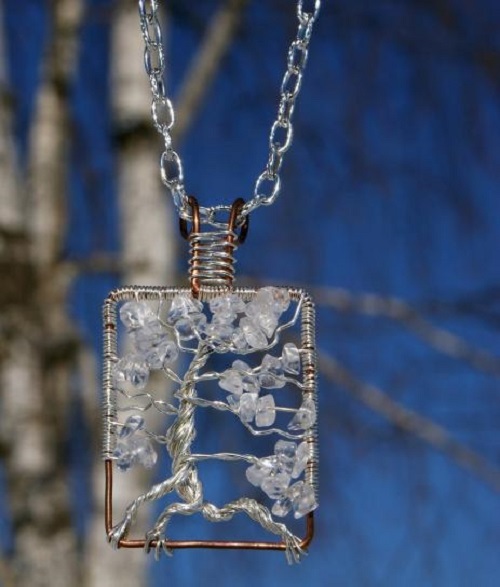 Pendant ‘Winter Sun’. Icy snow and the warm rays of the winter sun. 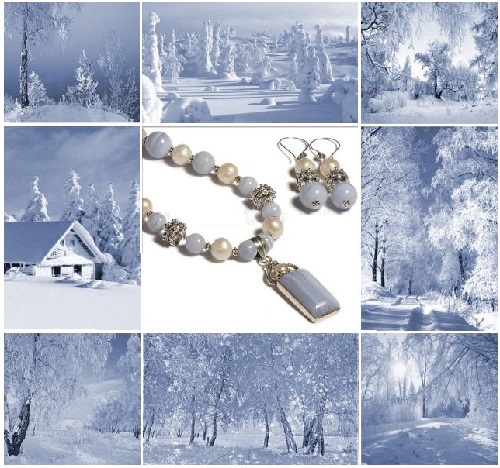 (Collection ‘Winter’). 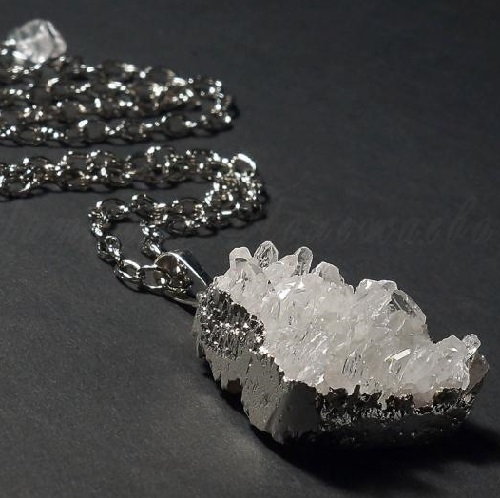 Brazilian agate pendant with a unique winter pattern and sparkling ice crystals within the quartz. 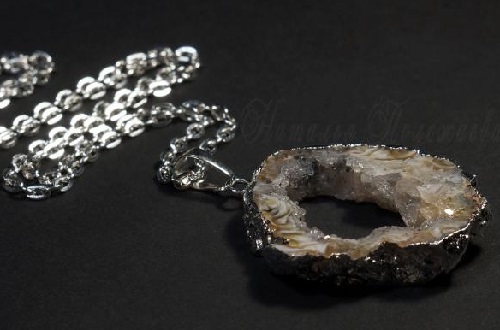 Materials: Brazilian agate geode slice, all fittings and frame pendant – silver plated. Set ‘Snowmaiden’ (Winter Collection). 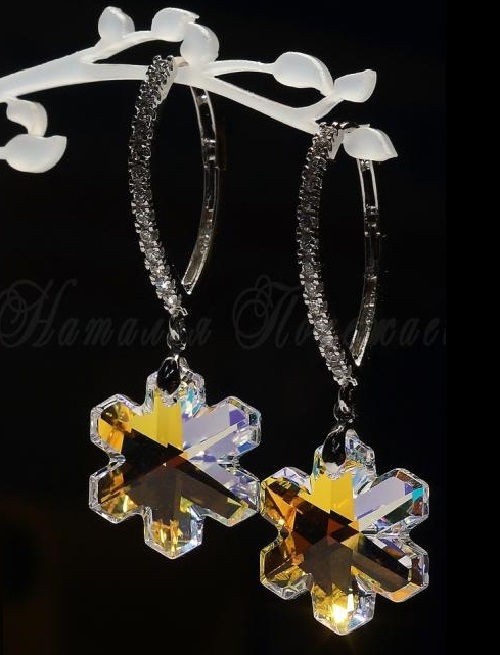 Materials: Swarovski crystals (swarovski), cubic zirconium, rhodium-plated brass. 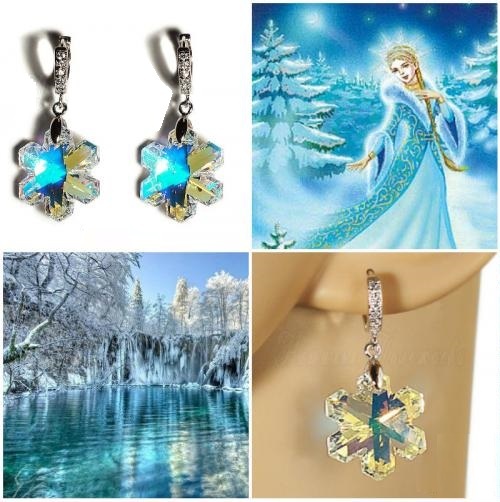 Winter, fabulously beautiful kit in the form of shimmering ice snowflakes sparkling with crystal facets of Swarovski crystals, rhodium-plated and zircon inlaid. Snowflake stunningly sparkles and shines at the slightest movement, light movement changes range of shades, this lively play of light is simply mesmerizing. On a white background color becomes predominantly blue, on a black background – yellow-gold, and on a neutral background – shimmers with a rainbow of colors and shades. 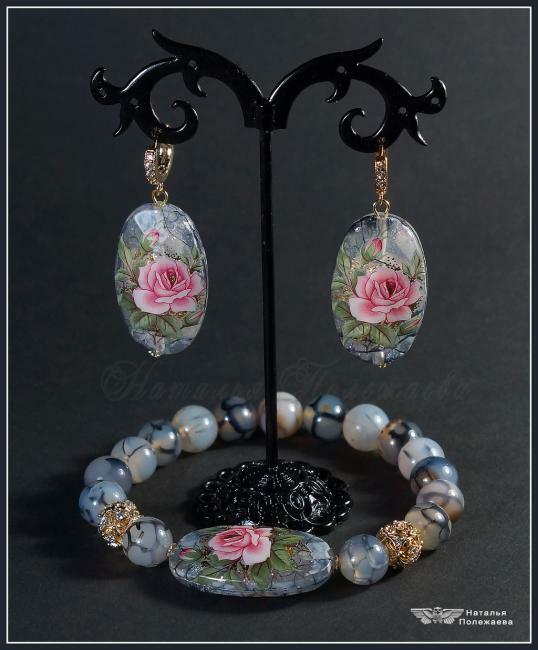 Bracelet and earrings ‘Winter Rose’. Piercing winter set of insanely beautiful beads Tensha with roses and natural agate, gilded and inlaid with cubic zirconia. Materials: Japanese Tenshi beads, agate natural, cubic zirconia, gold-plated brass 16 carats, spandex (garter latex thread). 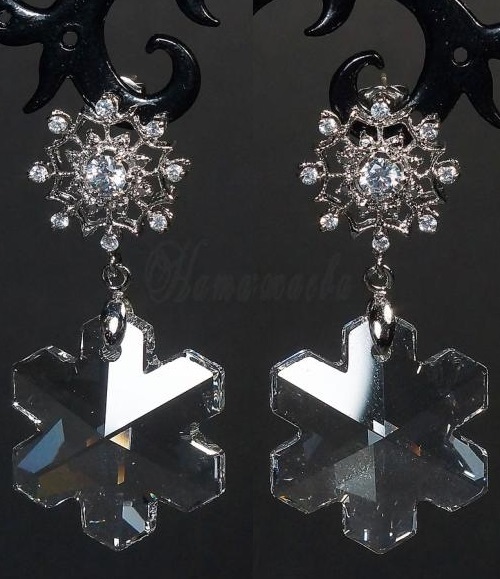 Earrings ‘Breath of winter’. Breath of winter, from which bloom beautiful flowers on the frozen ice boxes, and at the call of which arrive fabulous snow dragons of old fairy tales. 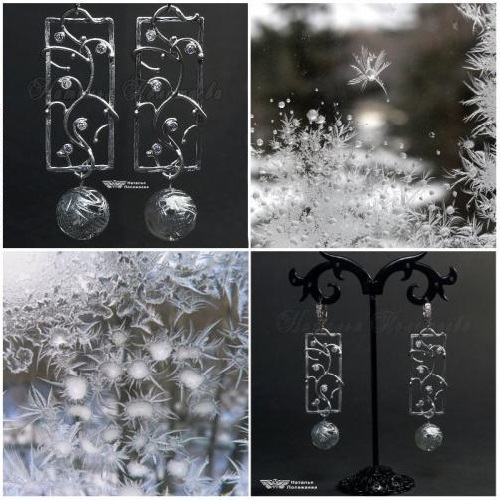 Winter fabulous earrings with sparkling icicles, frosty patterns and silver ice dragon, deserted in the crystal (Winter Collection). 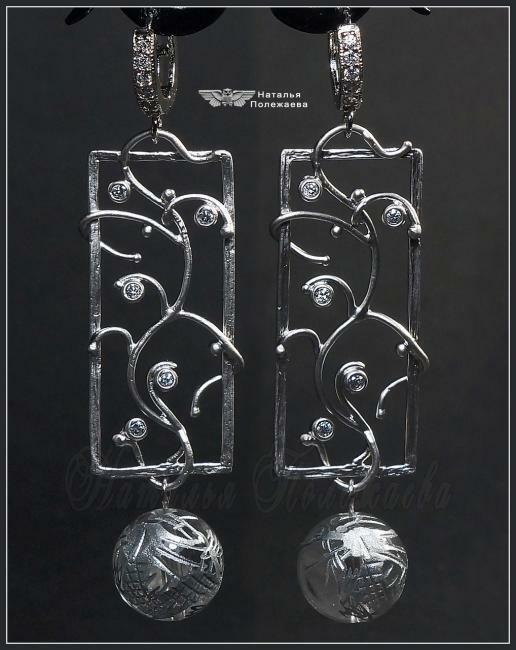 Earrings with sparkling zircons, matte rhodium-plated, with laser engraving on a transparent quartz in the form of a silver dragon entwined around a suspension. 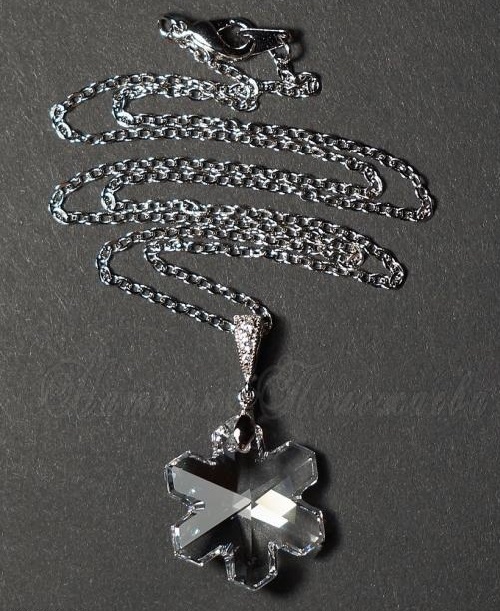 Materials: crystal with laser engraving, cubic zirconium, rhodium-plated brass. 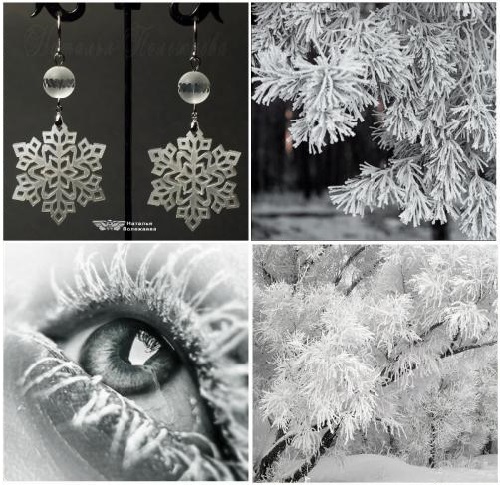 Earrings ‘Hoarfrost’. 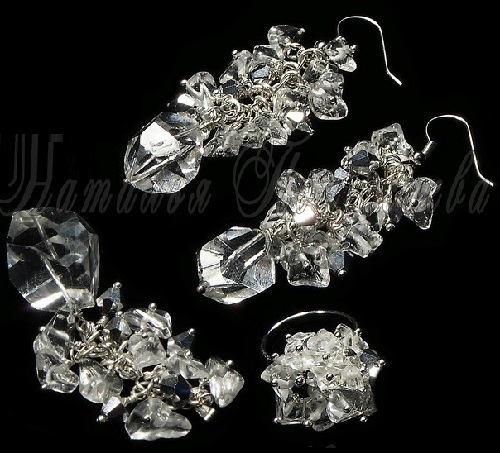 Lightweight long earrings with snowflakes and sparkling quartz, as if covered with frosty white with frost. (Winter Collection). Materials: matt polished quartz, in the middle of which – a belt with a jeweler cut; snowflake – acrylic glass; all fittings – brass with rhodium plating. 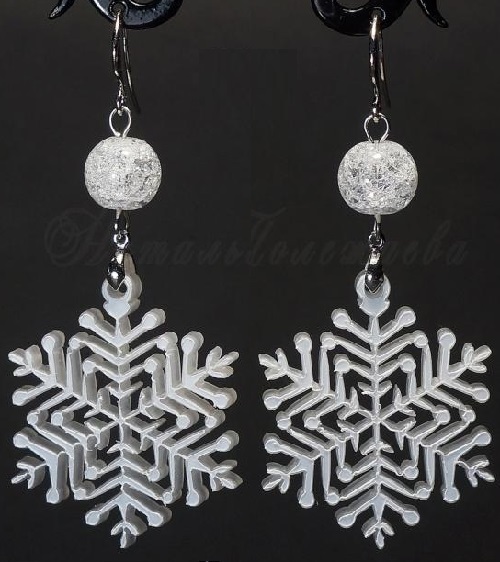 Earrings ‘Snowflakes’. Stunningly beautiful Snowflakes sparkle and shine, at the slightest movement, this lively play of light simply mesmerizing. On a white background color becomes predominantly blue on a black background – yellow-gold, and on a neutral background – shimmers across a rainbow of colors and shades. 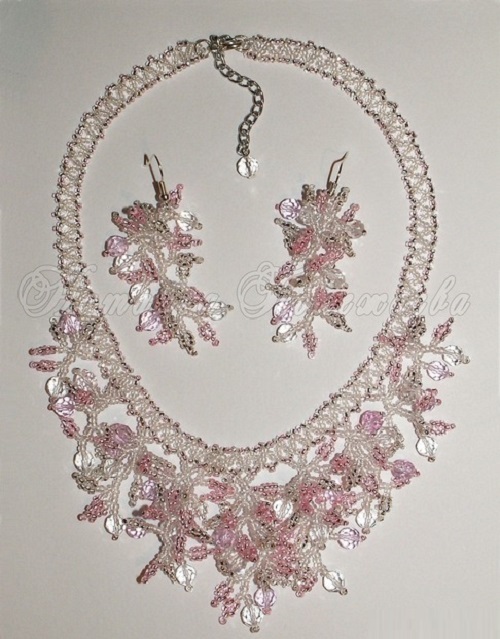 Materials: Swarovski crystals, cubic zirconia, Bale – brass with rhodium plating, silver with rhodium plating. 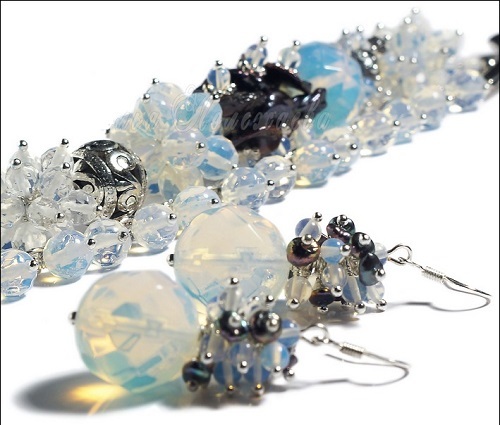 * Tensha Beads – acrylic beads depicting traditional floral motifs or abstract ornament made in Japan. First bead on a drawing method decoupage, then covered with hand-painted bead, gives volume and depth to the image, with the addition of pieces of gold and silver foil, and then the pattern is assigned with several layers of lacquer. * Cubic Zirconia is a synthetic crystal, which is perceived as an affordable as the substitute for diamond. After all, it is an analogue of the diamond in its properties: very solid, with a close to the refractive index of diamond, colorless or colored diamond, characteristic colors for untutored eye it is indistinguishable from a diamond. 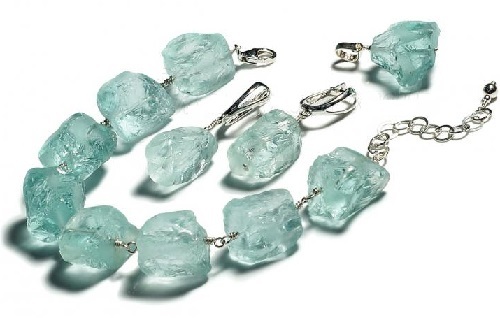 Therefore, cubic zirconia is so important in the jewelry business, and it is among the most expensive metals.